With the cold weather coming on strongly I thought a good dose of heart, soul and funk would loosen up our limbs and warm us from the inside out - for at least two hours anyway. Formed 1965 lasted till 72. Big hit: Time Has Come Today 1968. Band formed 1966. Only original member was Jim Fox. Band broke up 1977 but reformed for re-unions. 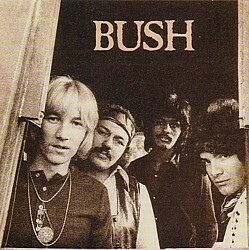 Joe Walsh left 1971 for solo career & was replaced by two Torontonians: Bush players Dominec Troiano and Roy Kenner. Walsh later joined The Eagles. 1st white Motown band to have a major hit single - Get Ready. Live at Jacksonville, Florida Civic Coliseum, Miami Florida Marine Stadium, Ithaca, New York Cornell University. and at The Pharmacy. This R'n'B/soul group started out as Jay Smith and The Majestics but changed name to Shawne and Jay Jackson and The Majestics when Shawne's brother and ex-Pharaohs member Jay joined. They featured some of Toronto's finest musicians and recorded a string of singles and a few albums before breaking up during 1969.